270 to 300 small stores this year, double its initial forecast of 120 – 150 stores. 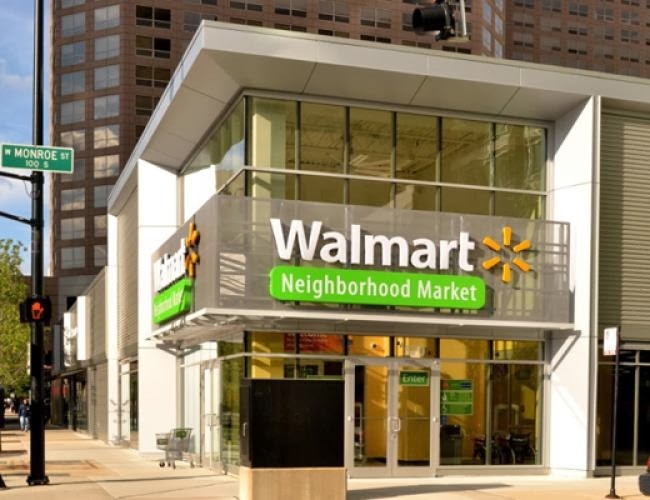 They currently operate 346 Neighborhood Markets and 20 Walmart Express stores. The Neighborhood Markets are approximately 38,000 sf (compared to 106,000 sf for traditional Walmart stores). The company is also testing 2,500 sf, college-based convenience retail called “Walmart on Campus”. This information can be sent to the appropriate real estate manager for your region. A territory map of real estate managers can be found by clicking here.